Home of the "Kyeema Ridge" herd of Nigerian Dwarf dairy goats! 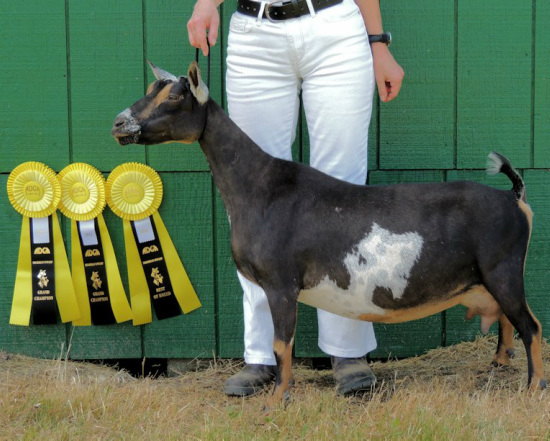 SGCH Old Mountain Farm Swift-Leigh - The first Nigerian Dwarf Doe to receive a Linear Appraisal score of EEEE-93. 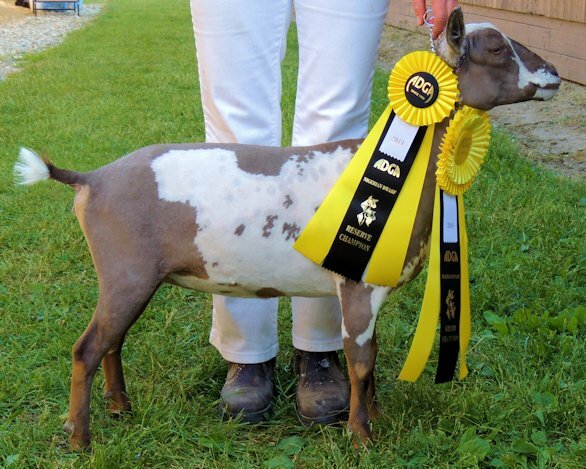 Kyeema Ridge Blythe and Bonnie awarded Champion Junior Doe and Reserve Champion Junior Doe at her very first show. This lovely young doe appears to be following in the hoofprints of her beautiful grand-dam, Swift-Leigh (shown above). 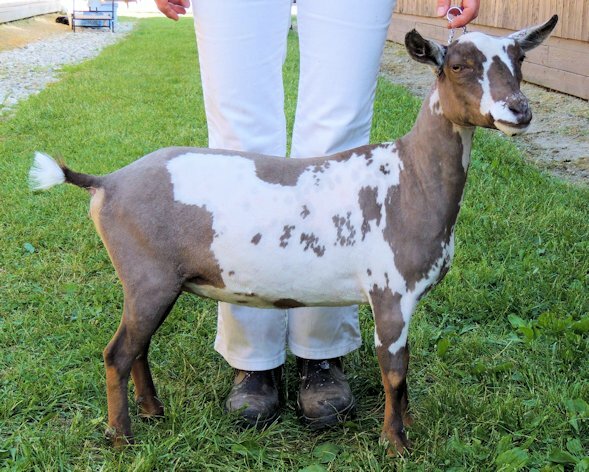 Our goats are registered with the American Dairy Goat Association and American Goat Society.